When repair of irrigation equipment requires water to be removed in order to access a valve or fitting, the absolute, best solution when electrical means are not available or not practical, is a BECKSON® WATER PUMP. These lightweight pumps, constructed of high impact, non-sparking PVC need no priming, are a breeze to operate and are easily stored. Our most popular model is the 136PF-6. 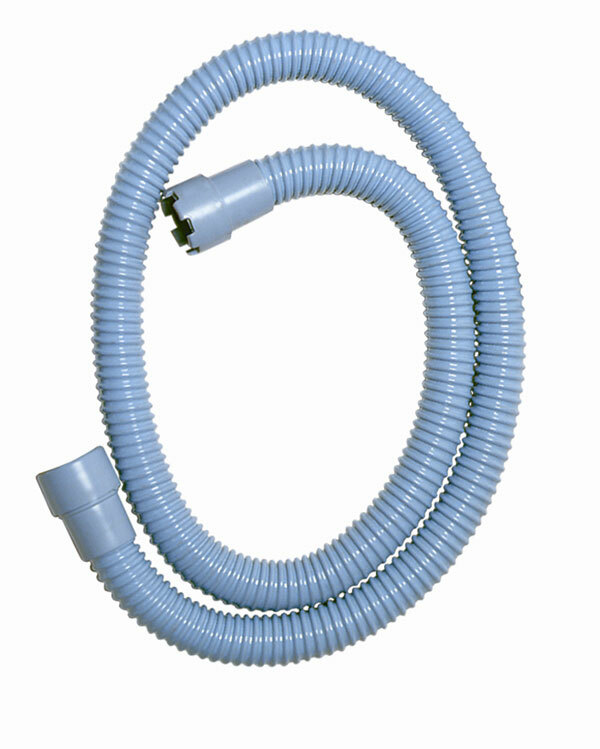 These pumps come in 1-1/2" and 1-3/4" diameter with hose lengths from 24" to 72"
224PF 24" 24" 18 ozs. 230PF 30" 30" 22 ozs. 124PF 24" 24" 22 ozs. 124PF-6 24" 72" 22 ozs. 136PF 36" 36" 35 ozs. 136PF-6 36" 72" 35 ozs. 160PF-6 60" 72" 35 ozs. 172PF-6 72" 72" 35 ozs. Pumps a quantity of water easily (over 16 gal. per minute). 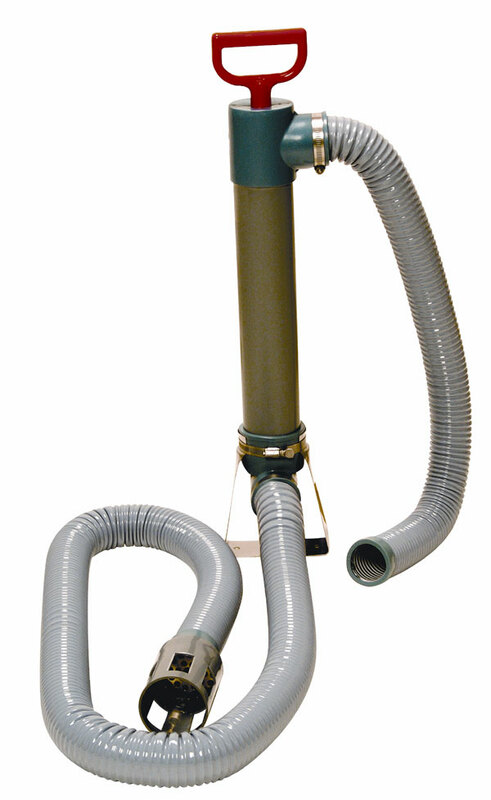 Flexible tubing in intake end extends to bottom of liquid to be removed. Flexible tubing in outlet end allows for directing of flow. 7 ft. on inlet end, 3 ft. on outlet end. tube directs water away from the head. 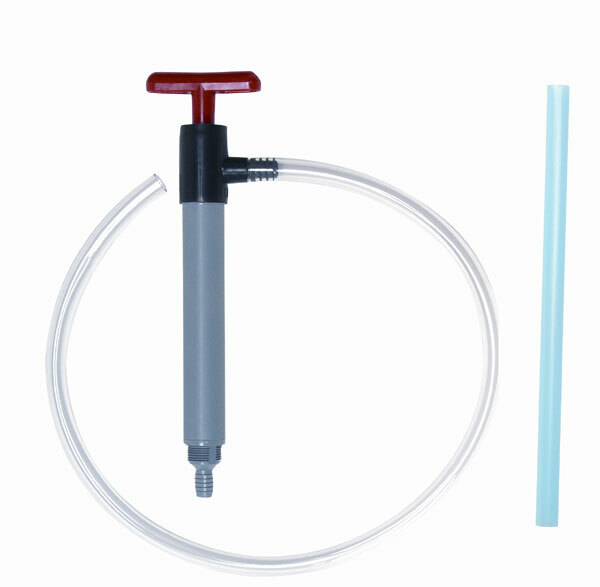 This alternative to the standard foot valve prevents larger stones and debris from entering the pump, prolonging the effective life of the pump. 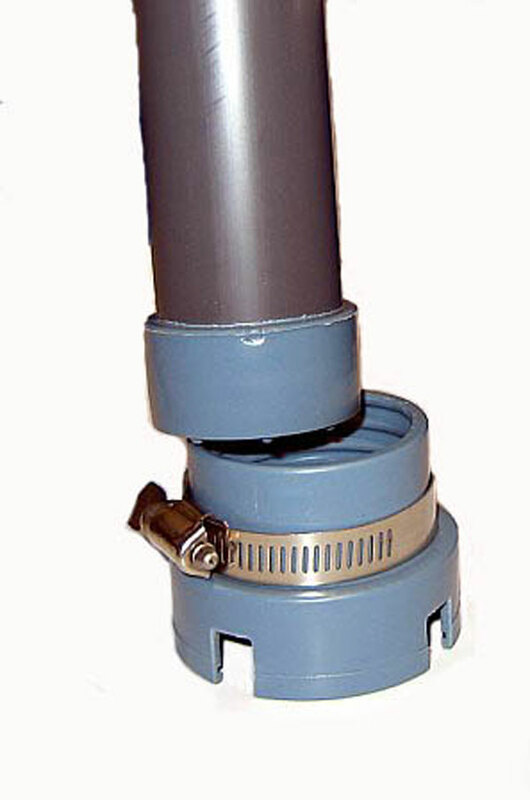 It is available for all 124PF and 136PF series pumps. For removal of standing water/puddles from athletic areas such as baseball infields. 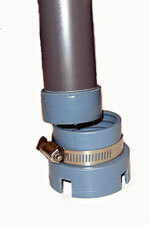 The strainer easily fits our 124 and 136 series of hand pumps. Comes complete with thumb screw for securing to bottom of pump. 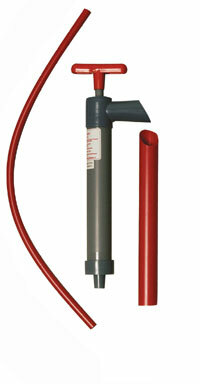 Model: FPH-1-1/4-6 (6 ft) Designed to extend the reach of the 124PF and 136PF series pumps. 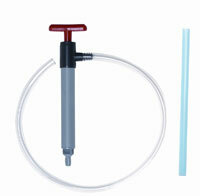 The 1-1/4” diameter reinforced extension hose attaches to the bottom of the pump after removal of the standard foot. It comes with a strainer to reduce clogging. Easily remove standing water from hard to drain areas. Just pull up on handle to bring liquid into pump. F15PX 15" 1-3/4" 14 oz. F24PX 24" 1-3/4" 22 oz. F36PX 36" 1-3/4" 35 oz. For use in draining traps, drain pipes, or other curved piping. Also for pumping from tanks or semi-closed places. Three feet of flexible tube fits in the bottom of pump and extends down into trap or drain. 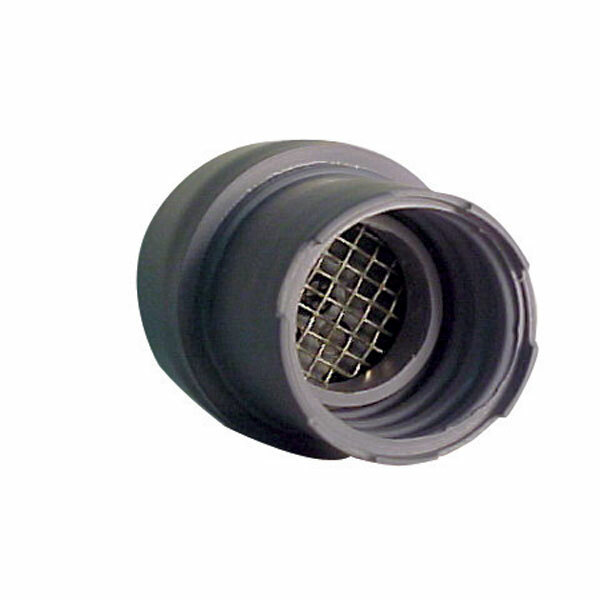 Outlet tube for directing flow into pail or bucket.